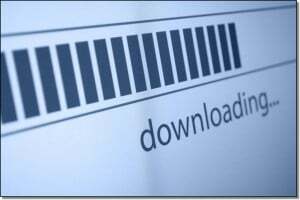 Is It Illegal to Download Torrent Files? - Ask Leo! Torrent files are used by bitTorrent file sharing and downloading technology. Are they illegal? No. But something else might be. Downloading Torrent Files, is it illegal? No. It’s quite legal to download torrent files. Before you run off and start downloading last week’s bootlegged theatrical movie release, you really need to understand why that particular download, and others like it, probably are illegal. “Torrent” files are, specifically, a small file of information used by a file-sharing technology known as “bitTorrent”. To be super pedantic about it, because the “.torrent” file itself has only some administrative information in it, there’s nothing wrong with downloading it. But that, of course, is not what you meant. The word “torrent” is also frequently, though incorrectly, used to refer to the actual files being shared using bitTorrent. So while you might use the “.torrent” file to initiate a download, most people call the download itself a “torrent” as well. And that’s more than likely what you’re asking. But here’s the catch: bitTorrent is nothing more than a technology used to copy files. It’s highly efficient technology, optimized for large files and decentralized storage of downloaded files, but ultimately, it’s nothing more than a way to copy a file to your machine. In general, copying a file to your machine is certainly not illegal. Similarly, the technology you might use to copy a file to your machine is not illegal. In some ways, you could just as well ask “Is it legal to download files from the web?”, to which the answer is (obviously, I hope), of course it’s legal. We do it every time we view a web page. The problem comes when we consider exactly what kinds of files are being downloaded. Downloading copyrighted files without permission is illegal. It doesn’t matter what technology you happen to use to do it: bitTorrent, FTP, web downloads, email, or even getting a CD or DVD in the mail. If the material is copyrighted, and you didn’t pay for or otherwise get the legal right or license to receive those files, you are in violation of copyright law. In other words, downloading a copy of a file you don’t have the right to download is illegal, no matter how you do it. Unfortunately, bitTorrent technology has become confused with illegal file sharing, simply because so much of that illegal activity uses that technology. Using any technology to download copyrighted material that you don’t have the right to is illegal. And yes, bitTorrent and bitTorrent-like technology can most definitely be used for totally legal activities. As just one example, many Linux distributions are made available using bitTorrent. It’s perfectly legal, and exactly the kind of large download that bitTorrent technology was designed for and excels at. Sadly, people who should know better either don’t, or are purposely using that confusion to further their own agenda. We’ve heard of ISPs and other facilities blocking or throttling bitTorrent file transfers, or politicians suggesting they do so, “because it’s all illegal”. It’s not. Along with blocking the illegal file sharing that’s going on, doing so blocks the legal and appropriate use of the technology as well. Is Copyright Still an Issue If Something’s Not Available Anywhere? - Copyright is a complex topic, but the practical implications are simple. I'll look at availability, copyright, and more. What Is Peer-to-Peer File Sharing, and Is It Legit? - Peer-to-peer file-sharing programs have a bad reputation because of the content they're often used to download. But the technology is quite legal and useful for legitimate purposes. Turn Off Windows 10 Peer-to-Peer Delivery Optimization - Windows 10 peer-to-peer sharing (or "delivery optimization") is a technology used to make updates quicker and more reliable. Unfortunately, it does come with some risk. Does downloading a lot on my smartphone shorten its life? - Constantly writing to an SD card will shorten its life. The question is how much? That's going to depend on several factors. « Previous post: Is MAC Address Filtering a Viable Wireless Security Option? well explained. I’ve read some news that a female was caught sharing music files over the internet and she was asked to pay some amount of money. is it illegal to download a game like halo as a torrent?? well have a question i do torrent but mainly old games like fallout, command and conquer, and other games made around and before 2000. so is it illegal if the games arent being produce. It’s technically still illegal to download old software that isn’t been produced as the copyright is still valid. Unfortunate considering that a video game is counted as old when it’s 6 months old.. Copyright lasts for years and years and it seems no one person has a right to anything these days. But I’m still wondering how those guys get away with uploading stuff to U Tube? @@@!!! Do they have copyright – do they have a right at all? But what about designers? I have produced a digital file which I sell from my online shop, and google alerts took me to a free download site the other day offering my most expensive product (only US$15) for free download. This is my main seller, and some of the items in there are deliberately not available for free – there are other products I offer for free. I contacted them and told them to remove it which they did, but the next day I went back and they are offering the same product under a different name. What rights do I have? I created it, I own it, I am the only distributor of it. It’s just plain rude. I want their site removed, they are prats. Can you tell me who I should contact in Canada to report someone who excessively down loads movies? People like this cause a lot of job loss in the country! If I downloaded something hell bad and whenever i start my computer the “picture” pops up. How do i get it off. “Please correct me on this if i have made a mistake. All music, software , text files, videos etc are illegal downloads if they have a copy right on it. Lets say thats true, i have downloaded games online and was found later on because i was sharing it. Is it possible to just download torrent files for yourself and not get caught and arrested for copyright infringement or theft?” this is an interesting comment, quite frankly http://www.isitlegalto.com should answer is it illegal to have some free legal advice and fun. so there’s really no point of torrenting? because most of the downloads are capable of movies, films, magazines, etc. What is there that “isn’t” copyrighted because everything is? Please (re)read the article you just commented on. It addresses exactly this. Can a copyright owner create a version of his material with trojan horse or other malware to trick pirates? If they do, are they subject to the same “computer terrorisism” laws? I disagree. Whether or not torrents are illegal – uploading or downloading – has nothing to do with it being a torrent. It’s illegal to download or upload via any means including a torrent a pirated movie. It’s totally legal to upload or download your own files via a torrent. Bittorrent isn’t the issue. The files you’re dealing with are. the sad thing is we get accused for opening a torrent just to see the contents. they track the ip report it to your isp. i have proven it many times. and they constantly email me telling that i am downloading illegal pirated content. when all im doing is reading the contents. mainly to see the types of files. or download the readme only i get these stupid emails. i have come across virus’s in these torrents also. and some times just looking for missing dll files also. when packaged properly we could download dll files that we are missing or needing or even drivers. this whole internet policing is getting overboard. and im about to cancel my net if this bull continues and they will lose more taxes cause more and more of us refuse. how do u prove you own something if the original is lost damaged or stolen? i love to view contents of torrents cause many times its not what it says it is. download a torrent then it opens another torrent and we get tricked. i know many have found that. who owns it if the company is no longer? im done ranting good luck all. BUY FROM OTHER COUNTRIES WHERE ITS CHEAPER…. I just recieved a cease and desist regarding a piece of Adobe photoshop that I downloaded from a torrent site. The file I downloaded was a trial, and it was infected, so I got rid of it immediately. I actually complied before I was even warned. How can me the user, prove that I did not use it, and them the copyright holder prove that I used the software, or rather did not. They can obviously prove that I downloaded it, there is no denying that, but since it was a trial version anyways, it seems that it’s not just what I downloaded, but where I downloaded it from. I did activate the trial that I recieved, but it had an infected executable anyways. I was initally downloading the same software from the adobe website on a trial basis, but it was terribly slow, and I have downloaded trials from torrent sites before and this has never happened up until now. First, I am not a lawyer, and this is not legal advice. I wonder if the C&D is about your sharing the file, not just downloading it. After downloading it via a bittorrent program if you leave that program running you are now sharing that file with others. I downloaded a game from what I thought was a real company but come to find out I had paid a person that had no connection to the game at all and then they threatened to charge me for copy right infringement so be careful. Thank you so much. I got the full benefit from this. My question is: I have read in some sites that the torrent is legal. I do need to download so many things I can not pay for. Can’t the companies stop them? Why do not they do it? Well quiet frankly I didnt know bit torrents where illegal i have downloaded a couple of older games that i didnt even know they had for pc but with all this warnings coming in the mail to people iam honestly getting kind of scared besides i have no money to pay a big fine for something so simple. I think that the law system in the USA is quiet messed up and upside down in some aspects but what can 1 voice change? Like one of the previous reader posted on top what will a leak of couple of thousand dollars 100,000 dollars do to their billion dollar industry comon people thats like a penny from a dollar. Please read the article. Torrents are not illegal. Using them to download pirated and copyrighted software without permission is illegal. There are many legal uses of torrents. It’s mostly a matter of, I want it now. I can be accused of falling into the instant gratification instant gratification gave me. Now I just wait for the latest great thing that’s overpriced to fall prey to overconsumption. It’s like stock – buy low, sell high. Or buy low and when done, throw it in the trash because by then it’s value is worthless. In other words, if you want it buy it. Maybe the influx of consumer buying will lead to lower prices and/or quality in the future. FYI – always read the “Terms of Agreement” prior to accepting the terms. Unfortunately, downloading or uploading any piece of software, game, or music without the necessary copyright agreement is a violation of the copyright. Being in the web development industry I can see both sides of the arguement, as companies are losing money from their product not being paid for. On the flip side, many recording artists, or companies are just lining their pockets with the extra revenue. Now the people getting caught, are they getting punished for sharing files or just downloading the Torrent? ive download quite a large number of stuff using bittorrent. but most of the time its either to try a piece of softwre, or its software ive already purchased but cant afford the new upgrade. if the software is good enough to keep, ill buy it. for example if it werent for pirate software, i would have never purchased advanced system optimize, eset nod32, office 2007, nero, and others. if its something useless or doesnt do what i need it too, i permanantly delete it. so in a way these “torrents” can be beneficial. if we download any movies using torrent file..
so is it free or we have to pay money for downloading …reply..
What is the difference between sharing online, and handing the physical DVD or game to a friend to try or view??? How many of us have shared our movies with friends and families or a CD??? Like most people, I don’t want something for nothing, but I don’t want to spend money on something that I haven’t seen or tried. Which then brings up a question about the movies and games that are rented from a video store. The video store is not giving royalties to the production corporations……Hmmmmm— How does that work??? Actually video stores do pay royalties. That being said when you share a CD or DVD you’re not making a copy. The very act of downloading makes a copy, which is illegal. If you buy a CD which is NOT in a mp3 format and then you upload it and others download it in mp3 format that’s not the same as “COPYING” u altered it so it is not the same product you brought. it is not being reproduced. so hwo is downloading mp3 torrents copying and therefore illegal? Altering the format changes nothing – you are still illegally sharing the music. Is it also illegal to download any games from bittorrent? Depends on the game. If you’re downloading a game that is not available for free elsewhere (i.e. a game that you would normally purchase), then yeah, it’s probably illegal. All of this sounds like nonsense to me. It is crazy especially when dealing with the internet. Sure Authors have copy rights to their products and should be respected , but they shouldn’t put them on the internet unless it is in a well known store. The only reason why people are using the internet and the advance technology is because they have the ability to copy a file or movie that may have purchased and would love to protect their investment by making a copy. This stops then from buying another music cd, movie, or another copy of application in the future which may be hard to find or the price has gone up. The next thing you will be saying is let your Internet Service provider, AT&T etc control the whole internet. Once that happen, you will wonder what happen to the internet and the technology. I say get rid of the internet if it involves downloading a file, sales, or just viewing a movie. That sounds crazy doesn’t it? What if I’m in a situation where I bought an album from iTunes, but my computer’s registry became corrupted beyond repair. I reinstalled my OS, only to find I couldn’t rip some of my music from my iPod. In a case where I legally purchased an album digitally, would it be legal to redownload that album, considering you already bought it elsewhere? Same thing – they’re copyrighted. Is it illegal to record TV shows or movies on a DVR? I can’t imagine it is since these machines are for sale. So, if I record a show and share it with a friend the old fashioned way (burn it to a CD/DVD) is that illegal? Then if I share it with a friend by sending it over the internet does that make it illegal? I am not a lawyer. I believe that as soon as you make a copy it’s in violation of copyright, particularly if you then share that copy with others. I am now even more confused. Please clarify..If I use different torrent website to download movies and music (not sure about copyright status) , is it illegal ? Can I get in trouble ?? You need to be sure about copyright status, as that is what makes it legal or illegal. Torrents and bittorrent are just technology and not illegal. Downloading a copyrighted movie or music is regardless of how you do it. Say I own a game on the PS2; would it be illegal for me to download the same game on my PC? hey if i download a complete audiocopy of a book from a torrent is that legal? Doesn’t matter where or how you got it – if it’s copyrighted material and you didn’t pay for it then it’s probably illegal. Ok, I understand exactly what you are saying and am grateful for the insight. What I’d like to know is just why would I use a torrent for? I’m just an average “joe,” and I cannot figure out what I would need a torrent for. Seems if I can’t legally download copyrighted material then what can I download and why would I want it? Thank you. As mentioned in the article, many Linux distributions are made available using bittorrent. There are definitely legimate uses for it. Will you ever need it? Depends on what you’re downloading (legally) and how it’s offered. I’ve read all the comments but I’m still a little confused. I want to copy the VHS movies I own to DVD but am unable because of the internal copyright protection on them. Since I already purchased a VHS copy of these movies is it still illegal to download a copy from a torrent sharing site? As I understand it, yes. But I am not a lawyer. IS it illigal to download pictures that are not copyrighted and post them on a website that you are building? If they are truly not copyrighted – in otherwords they are public domain photos – then you can do whatever you like. Would if you download a picture that was not copyrighted but you get a letter from a lawyer stated it was. Maybe someone before you downloaded a copyrighted picture and you just copied it from him. How would you know that it was copyrighted? You wouldn’t. You’d still have to remove it. Copying is always dangerous that way. Let me see if I have this right!! If I download torrent and start download music or movies; it coming from a share file so it would not be illegal to do that. But if I use it to download music or movies that are copyright from the computer than it illegal. If I download any thing from the computer like let say moive ” toy story” and I get it from one of the above site would that be illegal or legal, if I’m getting it from a share file from a site. erm…is it legal to give ppl links to download movies via torrent?…example: http://www.torrentz.com they give link for torrent downloads…and some other blogs give torrent to download “verified” movies? is it legal? So, let me get this right. (I’m not a lawyer also, FYI. :P) Let’s say you bought an album containing a song. But let’s say your little brother heats it over a stove just for the heck of it. So, you can use BitTorrent to re-download the track, right? The CIA won’t barge in your door guns-a-blazing? As I understand it, and as stupid as it sounds, what you just described is illegal. (I am not a lawyer.) I doubt you’ll get busted for it (never count on my legal advice), but as I understand it you’re supposed to go out and buy it again. I agree that’s stupid. So let me say this. Say I download a movie from a website as a torrent. Is it ok? ……….. Further more, say I paid a membership fee on a website and downloaded a movie (copyrighted or not), can burn as many DVD’s as I want of that movie and do what I want with them? Still in torrent format. THE FORMAT HAS NOTHING TO DO WITH IT. Downloading copyrighted materials is illegal. I can’t speak to the paid service you’re using but on the surface it sounds illegal as well – they’re charging you for access to their servers which in turn probably contain illegal copies of the movies. Anything that allows you to burn unlimited copies of copyrighted movies is almost certainly bogus. how do we know if what were downloading is copyrighted? If it’s something you would normally have to pay for, it’s probably copyrighted. If it’s a popular television show, movie or music, it’s probably copyrighted. If it’s too good to be true, it’s probably copyrighted. What are the chances of getting caught if you downloaded movies, say from a popular torrent site. Thanks for the article. It’s good that more people are learning that the BitTorrent technology itself isn’t illegal, it’s just that many people end up using it for illegal purposes. There are plenty of torrent trackers that for “legal torrents” that are free to distribute and no-one will get in trouble. is a whole list of them there. As I understand it this is incorrect. Copyright isn’t “removed” by someone. And even if it were you as the person downloading it are still liable for downloading illegally. I’m not a lawyer, but that’s my understanding. i know this seems really wierd but lets say theres something on a torrent site and thats the only place to get it because the original site costs money is it legal? also its a program and how do i tell if its copyrighted or has had the copyright taken off it? If the original site wants money and you’re wanting to get it for free that’s almost certainly illegal. Getting something for free that you would otherwise have to pay for is the very definition of theft. I bought a deck fro $70 that converts my VHS to DVD. I pop in the VHS tape I want to copy and a blank DVD, click the DUB button on the remote and off it goes. When the copy is complete I go to the DVD menu and close the DVD so it is playable on any DVD player as opposed to only that deck and I’m done. I believe legally you are allowed a back up copy but I don’t know if it has to be in the same format. The deck also is both a VHS tape player/recorder and a DVD player/recorder. I got it from every-body’s “favorite” online auction site as a factory reconditioned model. I absolutely LOVE it! Also, there is currently a worldwide convention going on with all kinds of governments and law enforcement agencies to attempt to come up with enforcement and penalties having to do with copyrighted material on the Internet. It is still in the discussion phase and like anything of that magnitude, it changes day by day. Some of it is mind blowing on the penalty side of things with some very draconian punishments. Look up ACTA, the Anti Counterfeiting Trade Agreement. The negotiations are still considered secret but new reports are regularly leaked. They are down-loadable in PDF format. The last one I got was from July 10, 2010. The agreement covers everything from fake Gucci bags to pirated software. Read it and be afraid! There are groups trying to fight it or at least bring an element of sanity to it. Please find and join one. Well, it’s seems to be legal to use Bit-torrent or other p2p communication technique to download non copyrighted files, but i m confused about listing of such torrent files. Is it legal to provide search for torrent files. I was told that if you’ve ever bought a legal copy of something (and never sold it on), it’s legal to download a copy via bit torrent or whatever, for personal use. Is this true? I’m mainly referring to records and music cassettes, but I guess it may apply to other media as well. Thanks for another great article Leo. You say “…Using bitTorrent or any other technology to download copyrighted material that you don’t have the right to is not [illegal]”, but can’t it be argued that no one has the right to anything downloaded from any bitTorrent client, including, say, Linux, or any other free software, because technically, the company that created said software has the right to its usage. This article is written from the viewpoint of a resident of USA. IMPORTANT TO POINT OUT: In a long and growing list of countries, such as Canada and France, P2P (peer-to-peer) file sharing of copyrighted material has been deemed completely legal much to the delight of users. I would be VERY careful about assuming that. Make absolutely sure this is case in yoru country before you attempt. Personally, I can’t see that kind of copyright theft baing sanctioned. If you’ve ever read the GPL(the industry standard General Public License agreement) you know that companies, corporations, individuals that distribute software or other goods under the GPL make no restrictions on the distribution of those goods except that original credit for development be given to the authors and that the GPL be distributed with the goods(software or otherwise). These developers claim no right to restrict distribution otherwise, so as long as you follow those guidelines, you are free to do as you will with said goods. Once it is publicly declared in the GPL, I believe, they legally forfeit any right to restrict distribution beyond those general terms. Furthermore, they generally do not restrict one’s right to alter and redistribute those goods. As far as what LINUX is in relation to the GPL, is a little more complex. The Linux Kernel(the core technology that defines software as LINUX) is only distributed under the GPL. Certain distributions of Linux, which may include variations on a theme(GUI aspects and included software, and specific added functionality or personality) may be futher restricted or copyrighted as distributions(the packaging itself or the “brand” if you will), but LINUX itself cannot be copyrighted in these more restricted terms. i want to dowload bus driver and i need to know if it is illegal thanks and it says it may be is that true?????? Does this mean that it is illegal to accept a book from someone because the book is copyrighted and I did not pay for it? And still your ISP/TV provider will come to your house and help you set up a “copy” machine to record movies with. They will? First I’ve heard of it. Of course the ISPs will. Comcast and Verizon will set you up with a DVR and you can record anything that comes down the service, including sports events, movies, TV shows, local news, anything. As I mentioned elsewhere – I am severely restricted in how I can use that recording. I can’t, for example, copy it. Never seen so many comments on a topic here, or so many responses from Leo. He is correct of course, breaching copyright is illegal. The trouble is, it is also very common. Like marijuana use and prostitution (except in McKeesport) it will have to be made legal eventually. Those who make available original creative work are going to have to come up with a different pricing structure. “Those who make available original creative work are going to have to come up with a different pricing structure.” – Phooey. The pricing structure is completely irrelevant. E-books that would cost a buck to buy are illegally shared. It’s not done because people can’t afford a buck or don’t consider the book to be worth a buck; it’s done because people can avoid paying the buck by stealing the book – and know they’ll almost certainly get away with it. The “I only do it because companies charge too much” line has been used since file sharing became popular in the 1990s. The excuse was bogus then, and it’s even more bogus now. Services such as Netflix, Spotify and Kindle Unlimited provide very cheap access an enormous collection of movies, TV shows, music and books – and yet people still choose to download material illegally. Why? To say that “Those who make available original creative work are going to have to come up with a different pricing structure,” is absolutely ridiculous. It’s like suggesting that Best Buy have to come up with a different pricing structure to stop people stealing TVs. Please find below a quote from a submission by Ray Smith to which I’d like to reply. For the most part I agree with your intent, but using P2P is and has a legitimate purpose and for those who use those excuses can offer credibility to their opinion even though not correct in law (depending on the country you live in). You’re right when you say many people do it to avoid the cost, that part you can accept as generally true, however take an Indian labourer living in Mumbai, a $30.00 dvd +delivery/data charges is probably equal to a months pay. Yet the same thing is on offer to US folk for “half the price”. You need to remember P2P is a world wide phenomenon and not everybody earns a western blue collar salary. “The ‘I only do it because companies charge too much’ line has been used since file sharing became popular in the 1990s. The excuse was bogus then, and it’s even more bogus now.” simply put NO THEY ARE NOT ! If you want to resolve the problem you need to listen to them. However the pursuit of the all mighty US dollar tends to be a hurdle and now we have a copyright cluster. Take a good look at the IT/ Tech gadget giants battling it out over copyright issues! To answer, because the services these companies provide around the world are seriously lacking in the provision of comparable content and pricing. They are then charged premium subscription for what is quite clearly “lacklustre services” in comparison to the US. This is experienced in particular by the NZ and Aussie customers and was quite clearly outlined in the Australian parliament when they instituted the new piracy laws in 2015. Go to the torrent freak blog to read the transcripts or go to the Australian Federal Govt website and you can access them directly. The Americans again tried to pressure the Australian Govt in interfering with VPN services (to stop encryption/keep logs etc.) as Aussies were using VPN providers to gain offshore access to much better content / services at a similar subscription cost offered by these companies and around the world. This not by any means legitimises torrenting copyrighted material without the proper licencing and/or in countries where it is outlawed. It doesn’t make it right but there is credibility in the reasoning. There is also a very simple solution to the issue too by the way. You are entirely off the mark here and the TV comment is out of context with the issue at hand. The TV as it is a physical item, ones and zeros (Binary Code) are not physical so there is (popularly) a different perspective (around the world) regarding code and physical items and whether your stealing, (Education is a good start). Not everybody is a thief and in a lot of cases it has much to do with being overpriced, your economic and geographic situation. Once again there is a solution to this issue. In my personal experiences, I have found that some of the US based service’s that are offered in my country to be of poor quality or value (minimum delivery – maximum price). This is not a US issue I have found similar fault with services from countries such as the UK, Germany, China and Canada. We get treated like “stupid cash cows” and I’m over it. We are not subject to American Law here so what constitutes an offence in the US, it is not necessarily so here. The fact that a content owner will not permit Netflix, Hulu et al to make their content available in a certain region does not make it acceptable for people who live in that region to steal the content. Period. And as for people living in Mumbai not being able to afford the content: so what? The same applies to them as to everybody else: if you can’t afford something, you can’t have it. This isn’t food and other necessities that we’re talking about: it’s video, music and books. I’d like to have a Lamborghini but, guess what? I can’t afford it. Unfortunately some of your last comment is a bit like an over easy egg….fried on both sides! For instance, I don’t use the U.S services offered in my country because I can get better service from them by going off shore. I still pay my subscriptions to obtain legitimate access. So is that stealing? Not here it isn’t it’s quite legal here. Just because I don’t provide accurate ins & outs of my personal details (which in many cases are on sold) isn’t a lawbreaker here. I am entitled to my privacy both in the real world and in the cyber. We both know it is pretty lawless, uncontrolled and unscrupulous on the www. Otherwise this aspect of newsletter wouldn’t exist. Security, Security, Security, always. 1: Does his country recognise international patent/copyright in law? 2. Is the activity banned/censored or outlawed in that geographical location/country? 3. Is the accepted sense of right from wrong in that geographical location/culture the same as yours in your geographical location? Not at any stage did I say that it was right (morally or legally, in my own culture). There are nearly 7 billion people on this planet but only around 400 million are subject to US laws. The rest of us are subject to the laws of our own countries. What you see as criminal or unlawful behaviour in your Nation is not so in others! Hence the comments about Education and resolution issues. Let me give you an example or two of cultural differences, right or wrong who is to say as most of us are neither subject to, or obliged, to submit to U.S law or U.S moral codes of behaviour outside the U.S. (Are you starting to see the diversity here!). This applies to attitudes from one country to the next. 1. Nu Guinea – familial feuding and other practices are still accepted even though frowned upon. (you kill my sister I kill yours attitude) and they have www access. 2. The Jewish culture of eye for an eye, is that still practiced in what you might see as a less enlightened country and they have www access. 3. Wife beating, stoning and burning in various Middle Eastern and Asian cultures and they have www access..
4. FGM in some Middle Eastern and Muslim cultures, and they have www access. A typical attitude might be, “who gave you the right to take the moral high ground and try to subject us to your laws and principles”. This comment is meant to try to illustrate to you the diversity in thinking around the globe. Education is key here not American litigation (even though justified in some cases (Pirate Bay may be a good example here). In stark contrast here is an example of the US blowing off another nations sovereign laws. This made news in my county and I’m sure it did in Australia and the U.S. There was an Australian who had broken quite a number of that nations state and federal laws and was a highly sought after criminal on the federal wanted list. I cant recall what he was wanted for but he tuned up in the U.S 20 odd years later and it was revealed that the U.S Govt had, “had him hidden away under another identity”, (WPP?) and heading up a company manufacturing missile parts and/or parts for weapons systems. This is typical of one country (the U.S) not recognising the laws of another, Truly “What’s the difference”. this happens in a lot of other places too. Still what remains is the differences in perspective towards torrenting and what you and I may see as Right or Wrong, as different or not as that may be. “What you see as criminal or unlawful behaviour in your Nation is not so in others!” – Indeed, but there are very, very few countries which fall into that category. Unless you happen to live in East Timor, Myanmar, Papua New Guinea, São Tomé and Príncipe or one of the other handful of countries that aren’t party to the Berne Convention, duplicating copyright material is illegal. And everybody knows that. To put it frankly, Duplicating copyright material is not illegal everywhere. If it’s not against my country’s law then its not a criminal offence therefore the behaviour is “not wrong according to law in my situation” it’s only wrong from your legal perspective not mine. Your legal perspective (and probably more appropriately your moral perspective) does not apply to me. There is the heart of the illegal torrenting issue, can you see the point I’m trying to express here? “You are entirely off the mark here and the TV comment is out of context with the issue at hand. The TV as it is a physical item, ones and zeros (Binary Code) are not physical.” It’s not the off the mark at all. Both a TV and a TV show are property: the former is physical property, the latter is intellectual property. “So there is (popularly) a different perspective (around the world) regarding code and physical items and whether your stealing.” Sorry, but that’s complete hogwash. Nobody believes that it’s okay to torrent a movie. They know it’s wrong. They may think that they’ll get away with it, but they know it’s wrong. And they’re only doing it because they know they’ll very probably get away with it. “To answer, because the services these companies provide around the world are seriously lacking in the provision of comparable content and pricing. They are then charged premium subscription for what is quite clearly “lacklustre services” in comparison to the US.” – So what? If you think a service is lacklustre, don’t use it. If you think a service is too expensive, don’t use it. A content owner is entitled to determine the pricing and distribution mechanisms for their content. If you think the pricing or distribution mechanism is unfair, then watch/read/listen to something else. There’s no shortage of options. And here’s the thing: you’re not entitled to watch The Walking Dead any more than I’m entitled to have a Lamborghini parked in my driveway. It doesn’t matter whether it costs more to watch The Walking Dead in NZ than in the US or whether a Lambo costs more in New York than in Sant’Agata Bolognese. You either pay the price or you do without. Paragraph 1: Yes your correct from your perspective and the perspective of many others including yours/their national laws, but does everybody/every government and every culture share your legal and moral code of behaviour? I think not this is an education process to get all thinking the same way (and what a boring place it would become) around the world. Intellectual property rights are not enacted into law everywhere. That brings into question the legality/illegality of the behaviour in that country. Paragraph 2: I hope your flippant disregard for different points of view from around different cultures / legal systems outside your own is not common as I fear this limits your ability to think outside the box on this issue and as a consequence limits the practical resolution of the issue. Paragraph 3: Read my previous 2 comments thoroughly please. Paragraph 4: Your absolutely correct in that statement, it opens up a wide variety of options legal and illegal depending on where you live and your moral code. All Psychology/Psychiatrists know to correct behaviour you need to change the attitude. Paragraph 5: genuinely not sure what your trying to express here, but as far as pricing options are concerned you shop around, but I fear, where you live my choice may be viewed as illegal. In conclusion, you are entirely correct, that torrenting of copyright material without the appropriate licencing in countries that have outlawed the practice is wrong and anything outside that is a matter of debate within the bounds of that countries borders, looking from a legislative point of view. Moral Justice is too subjective considering the wide range of cultures around the world we need to look to a more objective way to resolve the matter, to level the field so to speak. “Yes your correct from your perspective and the perspective of many others including yours/their national laws, but does everybody/every government and every culture share your legal and moral code of behaviour?” Yes, as I said above, almost every country/government does. Out of the 200ish nation states that currently exist, 168 are party to the Berne Convention – including Australia, NZ and India. That is rather interesting I’m not familiar with the content of the Berne convention and I didn’t know the that the number was quite that high, but even though there are that many signatories to the convention not all nations it would appear make it illegal (there in lies the issue) and do their national laws reflect fully the accords of the convention or does the legislation differ from nation to nation to some degree? (a real question). I don’t know the laws in Australia NZ & India but just a little off subject, here we are permitted to copy all our digital media (obtained legally of course) whether stored physically (such as a disk) or stored as data (on a drive) for the specific purpose of personal use only outside that all the charges and fines apply. The same applies when region codes and regional formats applied i.e pal or ntsc world regions 12345 etc. but the rhetoric on the discs from the US say you cant do it. Just an example of the differences in law. However those countries that are not signatories one would assume they haven’t banned the practice and as such the downloader isn’t breaking any of their laws so they don’t see the behaviour as theft. I must admit at first I all I saw was another U.S citizen calling the majority of us thieves, I find that to be offensive since I don’t break our National Laws and I’m sure if the same accusation was levelled at you then you would feel the same but first impressions can be misleading. It’s been genuinely insightful exchanging points of view with you. Thankyou. “However those countries that are not signatories one would assume they haven’t banned the practice and as such the downloader isn’t breaking any of their laws so they don’t see the behaviour as theft.” – Not necessarily. While non-member states are obviously not subject to the terms set out in the Convention, they likely do have their own laws relating to copyright. Also, it’s worth noting that probably 99% or more of the world’s population reside in a country that’s a party to the Convention. “Do their national laws reflect fully the accords of the convention or does the legislation differ from nation to nation to some degree?” – The Convention does a few things: a) specifies the minimum period for which copyright protection is to apply (but member states are able to specify a longer period); b) requires that member states member states to provide strong minimum standards for copyright law; c) authorizes member states to permit fair use/dealing. Fair use/dealing rules permits limited use of copyrighted material without acquiring permission from the rights holders and cover things such as making a backup copy of media that you already own for non-commercial personal use. Note that I’m not a lawyer so none of this should be taken as authoritative and is very much FWIW. Just wanted to say thanks firstly, for the newsletter and secondly for your patience, tolerance and for the band width on this issue. I genuinely believe this to be a complex issue, as we are dealing a varied set of morals and legal systems based in a wide range of cultures, this will always create debate and as Humans this is tool we can use to learn from one another so again I say “THANK YOU” to you and your team. P.S thanks for fixing that typo for me too! 1. China was not a signatory to the patent or copyrights agreements for many years as I recall and we could see direct copies of well known brands coming out of china but under different trade names on our shelves. Are they now part of the International agreement on these issues ? 2. Where I reside we were always permitted to make copies of our legally obtained media however a couple of international companies tried to have a go at the little man using our judicial system and came of second best. Are US Citizens now allowed to make copies of their own media? 3. Please pardon my ignorance, but what does the acronym “FWIW” ? I believe in the US, it’s illegal to back up of rip CDs for personal use, but millions do it anyway. and FWIW, FWIW is not an acronym. It’s an initialism ;). “I believe in the US, it’s illegal to back up or rip CDs for personal use, but millions do it anyway.” – It’s worth noting that the legal position may not be the same for DRM’d media as it is for media without DRM. While it’s absolutely illegal to circumvent/crack DRM – irrespective of the reason it’s being done – the legal waters are much muddier when it comes to copying non-DRM’d media for personal non-commercial use such as such as space/time-shifting. 2. No, it violates Title I of the Digital Millennium Copyright Act, which prohibits circumvention/cracking of Digital Rights Management (DRM). That’s good to know, thankyou. I’m sorry about the “FWIW” thing that really threw me, I’m not up with the western “texting culture” as such. :P.
So once again thankyou to everyone for the interesting and enlightening debate. Julianne , Jan 30 2009, her statement, simply put, is, “defining and indisputable. There also seems to be a reasonable level of ignorance regarding some aspects of this issue and that in itself can add a level of context and perspective to the issue. “Bruce Wagner, Oct 4 2010, but I don’t know how accurate that info is now” – It’s inaccurate. The making available of copyrighted music files on peer-to-peer systems is illegal in Canada. I haven’t read all this, my life is too short. Uploading a copyright file and sharing it is illegal. There is no doubt. You are promoting, facilitating, encouraging and enabling the sharing of someone else’s copyright material. “File sharing” is just that “sharing”. You cannot stop it, as fast as you share bits down, you’re sharing them back up again. So you are *uploading*, like it or not. If it were possible, is just downloading free available yet copyright material illegal? I don’t think so. It most certainly is not 100% illegal always. under some circumstances perhaps, under others not. I suspect that this is the reason that virtually all court cases are aimed at those uploading. Immoral, pretty much. Illegal, perhaps. “If it were possible, is just downloading free available yet copyright material illegal?” Yes. It’s illegal to make an unauthorised copy of copyrighted material – and by downloading, a person is creating a copy. Note too that, in addition, certain specific actions may also be illegal – such as sharing copyrighted material via P2P or breaking/cracking copy protection/DRM. I’m not sure what you are implying regarding the unauthorised copy of copyright material but I state again to you ” here we are permitted to copy all our digital media (obtained legally/legitimately of course) whether stored physically (such as a disk) or stored as data (on a drive) for the specific purpose of personal use only. Outside that all the charges and fines apply. The same applies when region codes and regional formats applied i.e pal or ntsc, world regions 12345 etc. but the rhetoric on the discs from the US say you cant do it. ” I am NOT a US citizen and NOT subject to your laws. To imply that your law (US law, presumably) takes precedence over all other law is not only arrogant but it is factually wrong! Unless of course that person, involved in that activity, is subject to those laws outlawing that specific activity. I couldn’t give “TWO FAT FROGS” for any statement made by the FBI or anything the US government may choose to legislate for or against because it just doesn’t apply to me. I am required to submit to my national laws and they take precedence. So what is considered Legal or Illegal for you is NOT necessarily so for me. You need to be clearer in you statement of law such as “Here where I live” or According to “US” or “NZ” or “Pakistan Law” because Bobby Blowfly ” from “Timbuktu” may be subject to differing legislation to you, I’ve tried to point this out to you several times but you seem to refuse to accept this and to continually quote US law to the citizens of the world is quite “wrong” friend. You are obviously a strong supporter of your nations laws regarding this and I do genuinely respect that, I also support and believe in my nations legal system in as far as what I am permitted to or not to do (otherwise anarchy would reign) and that system greatly differs from yours. I live in Canada; not the US 🙂 That said, US law is irrelevant to the question that was asked; the answer lies in international law and treaties. Mark’s question was, “If it were possible, is just downloading free available yet copyright material illegal?” And the answer to that is, as I stated, yes – assuming, of course, that he lives in one of the 168 nations that are party to the Berne Convention (but even if he doesn’t live on one of those 168 countries, local laws may still make it illegal). Making a backup copy of media you already own is a completely different matter and, as I said previously, the Convention permits member states to create use/dealing rules relating to things such as making a backup copy of media that you already own for non-commercial personal use. I don’t think that in many law systems, putting torrent files (I do mean the small pieces of information to share them, not the copyrighted contents itself) at disposal is legal. After all, that’s all that pirate bay did, and they have a lot of legal problems. On my libertarian rant, it is not because it is illegal, that it shouldn’t be done, and it is not because it is legal, that is should be done, morally. The law is after all nothing else but a list of desires put out by a repressive entity called “state” and has no moral value. In Nazi Germany, it was strictly illegal to hide Jews from being picked up for instance. But that doesn’t mean that following the law and turning these people over to the Nazi regime, as the law prescribed, was the morally right thing to do. In the same way, calling “piracy” “theft” is Newspeak stretch, because theft is morally evil because you *take away* stuff from the rightful owner, not because you *copy* something. In fact, what one wants to protect with copyright laws is *the right to frustrate*, not “ownership”. Because when you “steal” a movie by copying it, the movie isn’t taken away from their owners. They still have it. What you simply have done, is taken away the opportunity of the owner to frustrate you for not being able to see the movie, so that this frustration can be turned into a deal where you can relieve your frustration against paying the owner. Does that mean that I endorse illegal activity ? No. But only because of the trouble you might get yourself in, not because it is morally wrong. You follow the law for the same reason that you hand over your wallet to the guy pointing a gun at you. Because not handing over your wallet will hurt you probably more, not because you think it is morally right to hand over your wallet. In as much as the law is morally right, you don’t need the law, because you shouldn’t do things that are morally wrong (whether allowed by the law or not) ; and in as much as the law is morally wrong, you shouldn’t feel morally obliged to follow it. But you should follow it simply because of the trouble you can get yourself in by not following it. So, do not copy copyrighted stuff. But not because there is anything morally wrong with it (there isn’t). Simply because the trouble you can get into it doing so, isn’t worth it. ” In Nazi Germany, it was strictly illegal to hide Jews.” – That’s hardly comparable. “So, do not copy copyrighted stuff. But not because there is anything morally wrong with it (there isn’t).” – I think a self-published author who’s struggling to make a living from his books would probably disagree with you on that point. Strongly disagree, in fact. I will tell you how I come to the conclusion that there is nothing morally wrong with copying stuff (which was made available to you, not things you have been snooping without the owner’s permission). I consider that it is morally wrong to HARM others. But I don’t think that there is a moral right to frustrate others in denying them from doing things that improve their life, for as much as that doesn’t actively harm *you*. In fact, I think that frustrating others if at no cost, this frustration can be left, is actually harming others, and hence immoral. Theft is immoral, because you harm the original owner, by taking away something he had and doesn’t have any more after you stole it. If I steal your car, I harm you because you don’t have a car any more. However, the only thing that “intellectual property rights” do, is allowing people to frustrate others over not having a *copy* of their work. Now, “other people’s frustration” is, in my opinion, not something you can own. You cannot own “the right to harm” others. Nevertheless, that is the basis of intellectual property rights. They are fundamentally morally wrong in this respect. Of course, there is the practical difficulty of your self-published author, but this is simply because your self-published author is counting on the fact of being able to frustrate so many people in not having his works, and nevertheless be successful, that he can bring frustration in the minds of other people, so that afterwards he can ask a ransom for it. If the author wouldn’t have written his work in the first place, other people would not have gotten frustrated over not having his work. He created the frustration by making his work known to exist, and then asked a ransom from people for them to get a copy which cost him 0.0 effort to make. There is a very simple solution to this: crowdfunding. *if* people want *a priori* a book from someone, then they can do a crowdfunding for him to *do the actual act of creation*. When the author considers that the amassed funding is sufficient for him to create the work, then he can create it, and make it public. He has been remunerated for the effort he has been delivering on the basis of what people were willing to offer him for him to do his creative work. Both people willing to pay for his creative act and him were happy in doing what they did. That other people can now also profit from his work by making copies, shouldn’t affect nor the original author who accepted the original crowdfunding, nor the people who were willing to pay for it in the crowdfunding: both had what they wanted, and delivered what they were ready to sacrifice. That other people can have more happiness now by obtaining a free copy is in no way “doing harm” to nor the crowdfunders, nor the author. In other words, what the author has been paid for, was his creative act. He accepted a pay for a service, in the same way as my plumber accepts a pay for the work I want him to do in my kitchen. When the act was over, people were even. As human beings, our specialty has always “imitating and improving what we learned from others”. It is one of the aspects that has made our species successful. We have always been copying others, and we’ve always been learning from others and using our knowledge to teach others and to show others, and improve our lives. Intellectual property rights are completely opposite to those human properties which make our species great, and they have been invented purely because of the cycle of “inducing envy, and then ransom the frustrated”. Intellectual property rights are at the basis of artificial scarcity in order to be able to pump money (that is, goods and services with REAL scarcity) from others. They make illegal one of the basic properties of our human species: imitating, learning from others, transmitting to others, and improving. Intellectual property rights are fundamentally immoral and inhuman, and the association of their violation with “theft” is Newspeak, because nobody is actively harmed by violating intellectual property rights: nothing is taken away from the original owner, apart from his right to frustrate you. Imitating others is not theft: you do not harm them in any way. In most cases, they wouldn’t even know. If you create something to show it to others to give them envy to LEARN from it (that is, see it, read it, copy it, imitate it), then it is perfectly normal that others look at it, read it, copy it, imitate it. You then being able to frustrate them from doing so legally, is inhuman and not morally right. If you want to be remunerated because you create something, you should negotiate your act of creation with those who would want you to create something. Once you agree on a price, you do your act of creation, you have been remunerated for it, and that’s it. If I want my plumber to do some plumbing work in my house, I negotiate a price. If he doesn’t agree, he doesn’t do the plumbing, so if I need his plumbing, I will increase my offer until he accepts. However, once his work is over, he has been remunerated and we are even. In the same way, anybody, any group of people can pay someone to do some creative work. Once that person has done his creative act, and has been remunerated, he’s happy, and those having paid for it are happy too, because they now have his creation. As the further cost to copy that work is 0, it should be available to be copied as anybody likes. Of course, if nor the author, nor the crowdfunders, are willing to put it at disposition of others, they have that right. But any of them should be able to put it at disposition to be copied by others if they want to, because that doesn’t harm any body. “There is a very simple solution to this: crowdfunding.” – While that’s a nice idea – and your argument is certainly compelling – it’s nonetheless a completely unworkable solution. Do you think that Leo should have no protection for the content he creates? That people should be free to plagiarize/duplicate that content as they wish? Do you think that photographers should have no way of making money, except to crowdfund prior to taking each and every photograph? The photographer should be paid to take a picture. For the service delivered of taking a picture, with his art, knowledge and skill. Then he should hand over that photograph to the person who paid him for it, and then that’s it. Because his labor, his time, his art, his skills and his *service* are not unlimited and hence have a finite price. But once paid for the service, that’s it. If the new owner of the picture wants to keep it for himself, then that’s ok. However, if the owner of the picture decides to sell/give/… provide a copy to someone else, then that person should be free to do with it what he wants. In the same way as when you’ve learned about Einstein’s relativity, you’re free to explain it to someone else, and you don’t have to pay royalties to Einstein Ltd. each time you want to teach it to someone. “Intellectual property rights are fundamentally immoral and inhuman” – Really? Well, then I better shut down Ask Leo!. My entire business is built around owning the rights to my own intellectual property. Indeed. Copying copyrighted material beyond what is allowed in the copyright agreement or author’s instructions is immoral. My point is that it is *illegal* to do so (and that’s a good enough reason not to do it: you don’t piss off the criminal who’s pointing a gun at you – in this case the state), but I explained to you why it is, in my opinion, immoral, if you define morality in broad lines as “not harming people” (I’m in the process of writing a book exactly what I mean by that, so I won’t re-write it here 🙂 ). People making a copy of something they have, to help out others, are not harming any body. Wanting to stop them from doing so, is harming the people they could have helped. Wanting to stop them from doing so except if they pay you, is what I call racket. I find racket immoral. In as much as you do profit yourself from “intellectual property rights”, you should realize that by far most intellectual property rights serve what I call “corporate socialism” (what many left-wingers erroneously call “capitalism”). I could go on an analysis somewhat similar to Marx’ analysis of the structure of 19-th century “capitalism”, where he considered laborers exploited by the owners of production capital (and no, I’m by far not a Marxist, on the contrary, but his *analysis* was right to a point about the extortion of laborers by capital owners – his solution was terribly wrong however, by increasing the powers of exactly that thing that organized this: the state). Since the last decades of the 20-th century, the 19th century equivalent of “production capital” is “intellectual property”. Most big fortunes, most very rich people and groups, do this on the basis of “intellectual property” that they actually extorted from “intellectual laborers” for a salary which is only a scratch of what they obtained through it. Using the fact, that some individuals, like you, make some money using that technique too, to justify intellectual property rights, is comparable to the excuse that a large land owner exploiting the farmers on that land, uses, when he points to the oven of a bakery as the investment in capital that allows the baker to get a profit from it. The oven of the bakery did cost resources. The land was there before the land owner (or his ancestors) took it for free or traded it against some mirrors. For some individuals, like you, it seems like a normal way of recovering the merit of investment in time, money and risk of having produced something, and most probably it is “fair” on that level. But that is small beer compared to the huge lever arms that intellectual property rights give to totally undeserved and distorted wealth accumulation by some groups and people, undeserved by all standards. Newton’s laws are a far more important “intellectual property”, than any piece of code or fiction text or movie ever will be. Maxwell’s laws on which all of this is based, is, in terms of “economic merit”, a billion fold worth more than the last James Bond movie. The sharing, copying, imitating of that information (I’m talking about the discovered laws of physics) has brought much more to humanity than any copyrighted stuff ever will be. Nevertheless, the rightful owners of that intellectual property haven’t had even one promille of what a Bill Gates has earned using his “intellectual property rights” which have essentially been the creations of the people he only paid for their *services*. And I think that Bill Gates is still a very meriting person as compared to all other financial groups who have exhorted billions and billions of scarce goods and services worth in Dollars for something that has exactly zero effort of being reproduced, in the same way as reproducing Maxwell’s laws doesn’t cost any effort. Intellectual property rights are an artificial way to turn something that is in unlimited supply into something scarce, and stop people from what is most natural as a human trait: “showing others how to do the same”, and “imitating others”. It is basically inhuman, in the same way as claiming that all land from here to the next mountain is mine and that all people living there now have to pay me some rent. I have a small company too, where I sell *advice* and where I write code for people who ask me to do so. I sell my advice, and I sell my service. That’s normal, because it isn’t in unlimited availability: it costs me time (and effort, although most of the time it is fun). I cannot “multiply” my advice a million-fold. It is a scarce resource, so it is normal that it has a price. I do not sign any paperwork with my customers: they do with my advice and code whatever they want. If they want to put it up on a web site, that’s ok with me. If they want to keep it for themselves, that’s fine too. I have been paid for the service delivered. I have written a book in the past (in Dutch) – about 400 pages on the merits of nuclear power. I have worked for 3 years on it, and then I e-published it free of any rights. There are of the order of 100 downloads per month of it, since about 8 years. The reason is that I wrote the book because I wanted to say something, and not because I wanted to make a living from it. One day, someone asked me if I wanted to write a book on another subject. I asked him if he wanted to pay me to do so. He didn’t. So I didn’t write it. I’d love to respond to this, but I fear we’d be veering too far off topic (again!). I used to use bittorrent to download games illegally, such as GTA and Minecraft. Soon after I began doing it, my ISP canceled internet to my house and invalidated the plan. I got a different ISP and continued making the same mistakes. At this point I had pirated at least $5000 worth of content. I did not realize that ISPs shared a “watchlist” of people who have pirated – so my current ISP (Comcast) had their eyes on me. After about $10000 of pirated content, I received a call saying that my internet had been cancelled and I was to pay a fine of $20000 or I would be arrested. I thought the fine was a joke even though my internet WAS cancelled, so I didn’t pay it. Police came to arrest me 5 months later and I spent 5 years in prison. Don’t do what I did, five years might not seem like much but it really is a lot of time that could’ve been spent enjoying a life. hipotatically speaking…if there was a page that let you see all torrent downloads you did via Ip address and you find some of them that doesnt belong to you could it be from someone that was connected to your wifi BUT while he was connected to my wifi he didn’t download anything. Is it possible to show stuff that person downloaded on his own pc via his own ip address to appear as my downloads because he was once using my wifi? There are so many hypotheticals and maybes in your question that all I can say is … “maybe”. It really does all boil down to the EXACT specifics and many details of the situation you’re trying to resolve and the problem you’re trying to solve. It’s possible, but most certainly not guaranteed. if you download them but not use them can you get in trouble? Again, it’s all about the specifics. Downloading copyrighted material without permission — even if you do nothing — is illegal. The download made a copy. Whether that gets you in trouble I have no way to know.